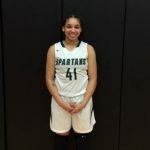 Congratulations to senior basketball player Mariah White who was chosen to play in the prestigious Ohio Basketball Coaches Association North/South Game to be held on April 20th and 21st in Columbus. 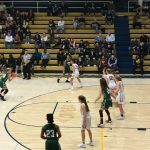 White also joined fellow teammates Michae’la Perdue and Nadia Dumas this past Sunday in the District 7 All-Star game held at Notre Dame Academy. Senior basketball player Mahogany Jackson was awarded a $500 scholarship this past Sunday at a ceremony held at the University of Toledo Driscoll Center. Congratulations Mahogany! 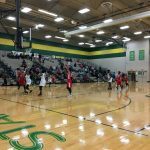 Nadia Dumas joined fellow teammate Mariah White on the District 7 1st team while Michae’la Perdue garnered 2nd team honors. Mahogany Jackson was named to the Honorable Mention team. Special congratulations to Head Coach Leon Kynard who was named the District 7 Coach of the Year. Congratulations Lady Spartans and Coach Kynard! 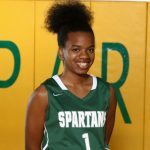 Congratulations to senior girls basketball player Mariah White on her selection as the District 7 Player of the Year. Mariah averages over 15 points per game and 7 rebounds a game as well. Last week in Sectional play against Bowsher, Mariah also topped the 1,000 point mark for her career. Congratulations Mariah…well deserved! !